William Wordsworth's early life reads like a novel. Orphaned at a young age and dependent on the charity of unsympathetic relatives, he became the archetypal teenage rebel. Refusing to enter the Church, he went instead to Revolutionary France, where he fathered an illegitimate daughter and became a committed Republican. His poetry was as revolutionary as his politics, challenging convention in form, style and subject and earning him the universal derision and contempt of critics. Only the unfailing encouragement of a tightly knit group of supporters, his family and, above all, Coleridge, kept him true to his poetic vocation. In the half-century that followed his reputation was transformed - the despised author of homely lyric verse turned into a venerated philosopher whose opinions were actively sought by politicians, Church leaders and educationalists. His advocacy of the importance of imagination and feeling touched a chord in an increasingly industrial, mechanistic age, and his influence was profoundly and widely felt in every sphere of life. In the last decade of his life, Rydal Mount, his home in the Lakes for 37 years, became a place of pilgrimage, not just for the great and powerful in Church and state, but also, more touchingly, for the hundreds of ordinary people who came to pay their respects to his genius. In what is, astonishingly, the first biography of Wordsworth to treat the latter part of his life as fully as the first, Juliet Barker employs the skills that made "The Brontes" a bestseller. Balancing meticulous research with a readable style, and scrupulous objectivity with an understanding of her subject, she reveals not only the public figure who was courted and reviled in equal measure but also the complex, elusive, private man behind that image. Drawing on unpublished sources, she vividly re-creates the intimacy of Wordsworth's domestic circle, showing the love, laughter, loyalty and tragedies which bound them together. Far from being the remote, cold, solitary figure of legend, Wordsworth emerges from his biography as a passionate, vibrant man who lived for his family, his poetry and his beloved Lakeland. His legacy, as a poet and as the spiritual founder of the conservation movement, remains with us today. 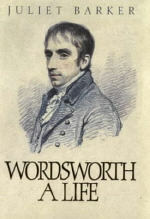 "A brilliantly executed portrait of Wordsworth's life, work and evolving philosophy . . . her elegant narrative [has] the density and intimacy of a 19th-century novel"
"Uniquely readable...Her accomplished, invigorating and accessible book marks an important stage in the recovery of Wordsworth." "A marvellously readable narrative...a model of how such things should be done - a tremendous achievement." 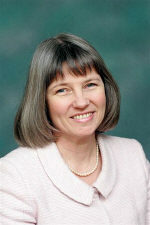 "Juliet Barker has written a detailed, rich and tactful biography of huge value and interest. She has delved deep, and comes up with an extraordinarily sympathetic and constantly engaging portrait...one of our best biographers...a remarkable book." "Juliet Barker's scholarship is astounding, and it would be hard to imagine that anyone could or would want to write a biography of Wordsworth for several decades to come." "Meticulously researched and very well written...full of riches...A book steeped in the love of its subject and of the countryside that he commemorated so lastingly in his poetry." "Wordsworth remains an absolutely necessary and inspirational figure...Barker understands this. Her great strength is her good sense, which allows her to treat the poems in a way which both connects with and remains separate from intimate matters, and to weave a narrative thread strong enough to support Wordsworh's weighty ideas."